Looking for antiquarian books? Biblio.co.nz hosts hundreds of of the finest online book stores and booksellers, including specialists in antiquarian. Use the list below to locate a specific specialist bookseller or book store near you. Or, use the form below to search the inventory of all booksellers who specialize in antiquarian. 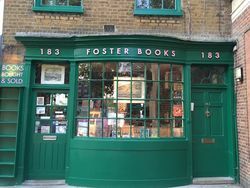 Independent bookseller of collectable English, French and American literature, first editions, signed and rare books. 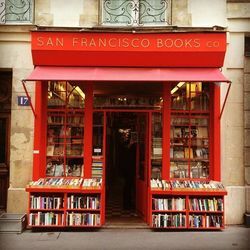 I am an independent bookseller in Oakland, CA. I have a small but varied stock, and I have new things coming in on a daily basis. Specializing in Ohioana but carrying an eclectic assortment of books. 20 years experience. We are happy to ship overnight when requested. 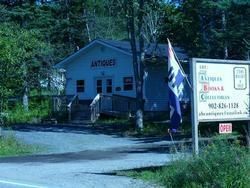 ABC: Antiques, Books and Collectibles operates a small shop on the \"Lighthouse Route\" at 12717 Peggy\'s Cove Rd., Tantallon, Nova Scotia, Canada. Open seasonally May to October, by chance or appointment at other times. Our book selection is concentrated on Antiquarian and Nova Scotia/Maritime provinces. We also offer a varied selection of antiques and collectibles. Quality new-used-rare books since 1994. Welcome to BanditBooks. I have a love and a passion for new, used, and rare books, ephemera, printed and recorded music. My Biblio store has a growing inventory of newly published releases, along with rare and collectible media. All of my used stock is in VG+ to Like New condition. Questions and offers are always welcome. My professional goals include providing quality merchandise, accurate descriptions and pictures (never stock photos), and great customer service. If for any reason you are dissatisfied with your order, please contact me. I am confident that my customer service, return, and refund policies will address any concern. Repeat customers qualify for discounts! Thank you for your consideration and business. Beacon Books is a large 4,000 sq.ft. 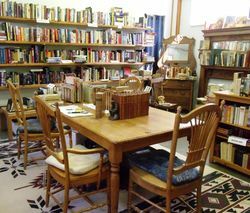 bookstore located in Sidney on Vancouver Island.Our store carries a large general selection of secondhand books on many subjects - from modern paperbacks to collectable hardcovers,signed First Editions, BC History, Nautical/Marine& Canadiana. Our Country Life store(inside Beacon Books) specializes in crafts, cookery & gardening, technical, and country living.Open every day of the year except Christmas. See sidneybooktown.ca for other Booktown bookstores. Buying, selling, collecting books is my hobby. I tend to specialise in modern, signed 1st edition, both adult and childrens titles. But I also stock many rare & collectible books from all generations and all genres. Established in 1989 Bygone Books was originally an Antiquarian Bookshop located in Farnham, Surrey. 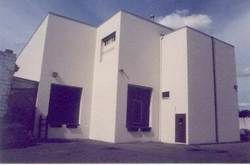 We later moved to larger premises in Camberley and widened our range of stock. We closed the shop in 2002 due to increased overheads and now operate from private premises. We currently list about 7,500 books with about about the same number in storage. These are added to our database daily but at the present rate of progress will keep us occupied for at least another year. We sell used books of all sorts. Some are from our own collection and some of them are purchased. The book pictured is the exact one that you will receive. We ship within a day of your order. We strive to find the rare and wonderful and to have something for everyone. Please message us with any questions you may have and we are happy to get you answers. Thank you for visiting our store. Charity Bookstall is the Biblio storefront for the Morin Foundation, Inc., a 501(c)(3) charitable organization.Its primary program is Project Library which supports both adult and child literacy initiatives.Our focus is building and strengthening libraries that cater to underserved readers.We're expanding our mobile library outreach program: giving home libraries to children in need, partnering with libraries to provide library cards and developing programming for lifelong learners of all ages.To learn more about us, or to make a donation, please contact us directly. We are located in sunny Sitges, on the Mediterranean Coast, half an hour from Barcelona. We have been dealing in rare books since 1991.
art and textiles, poetry, children\'s and illustrated, Missouriana, antiquarian books. Prints and maps are stocked as well. My store offers a curated selection of antiquarian books in a variety of topics with an emphasis on classic literature and children's classics. I take pride in providing great customer service with prompt replies to offers and inquiries, careful packaging and next-day shipping. Based in scenic southern New Hampshire. We have 20,000+ used books covering all genres (only about 1/3 of our books are online). The store is located in the Five Points neighborhood of East Nashville. We're open Wednesday through Sunday, 12 p.m. to 6 p.m., Other times by appointment. Please call in advance if you are looking for a particular subject. We are a family owned and operated full-service bookstore with a storefront located in Walla Walla, Washington and our online warehouse located in Olympia, Washington. Since 1973 we have been filling the literary needs of this wonderful community in the Walla Walla Valley. Over the past 35 years our shop here has become a staple of this vibrant local economy, a beautiful downtown scene and an informed intelligentsia. We sell books through our storefront, our website, and a book-mobile that travels to festivals and fairs. 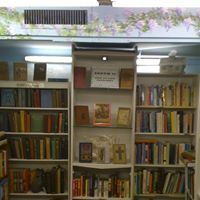 We are a general used book store, specializing in history, literature, art, antiquarian, sciences and children's books. Flamingo Books specializes in scarce and unusual nonfiction books and ephemera, with an emphasis on the natural sciences, religion, law, history and antiquarian titles. Glading Hill Emporium Purveyors of Fine Antiques Collectibles, Antiquarian Books, Children\\\\\'s books and out of print books. Feel free to Contact us about specific book requests, as we have a large inventory. Second-Hand Bookseller operating from home, stock available for viewing by appointment. Mail Order and Internet sales. Early Penguin specialist, otherwise mostly non-fiction in many subjects.I have been involved in the book trade, both publishing and retail, since 1970. Selling of books and other printed matter. Hanselled Books has been providing Quality Online Service since 2002. We were an exclusively web based business but in October 2009 we opened retail premises in Burntisland Fife, allowing us to expand the range of books on offer.We stock a range of secondhand and new books; we are particularly strong in Science Fiction and Fantasy, Educational and Text Books and difficult to find titles. With over 20,000 book titles in stock we are sure you will find something to suit your wants. Founded in York in 1761 and established in London on 1815, Henry Sotheran Limited has a long and distinguished history.For over 250 years we have been offering unsurpassed opportunities to collectors. Throughout our history we have prided ourselves on the quality and condition of our books and our friendly service.Our premises just off Piccadilly in the heart of London's West End are spacious and elegantly appointed and we welcome regular clients and passers-by alike to wander in and browse in a relaxing and convivial atmosphere. Heritage Books is a friendly family operated business. We are dedicated to meeting your book buying needs. 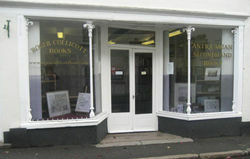 Family-owned & operated shop specializing in antiquarian & antique books. Our shop was inspired by our beloved grandparents who were dedicated to the pursuit of knowledge & education. To ensure you receive the quality of book expected we provide pictures of NOTICEABLE WEAR for ALL books we sell with marked conditions of GOOD or better . We are currently working on uploading our inventory so if you are looking for a specific book we may still have it! Please don't hesitate to contact us. We are happy to answer any questions & help you find the book you are looking for. Gifts:Gift options are available for $4.00 & include: - Wrapping Paper- Ribbon & Bow- Personalized NoteWhen purchasing please send us your request & the additional cost will be added to your total. Unless requested gift orders will not include a receipt in the package. Shipping:All of our books are carefully wrapped in protective cardboard & sent in mylar envelopes or cardboard boxes. Standard shipping is done through USPS media mail. We include a signature confirmation for all items priced $100 or more free of charge. CALIFORNIA CUSTOMERS:Any items bought by customers located in California will be charged an addition 7.5% sales tax as required by the state. Older books from 18th and 19th century and early 20th century. Formerly Greekdrama Books Specializing in classical, medieval and ancient languages, history and cultures;� antiquarian and unusual books; and interesting used books.� We also carry many early printed books, particularly in the subjects of classics and religion, including incunabula and manuscripts. Lexikon specializes in rare and antiquarian books, fine art books, art history, maps, and curiosities. We also sell in the real world from April through October at the Kingston Sunday Market in Market Square next to City Hall in Kingston, Ontario. Online store selling old, new, much loved and treasured books. We aim to give first class customer satisfaction, honest prices and excellent service. We sell a wide range of genre including classic literature, children's, history, the Arts, educational text books and even some erotica! You will also find our website at www.limelightclassics.comWe also publish books written in house and for other authors. Full Time Professional Bookdealers operating from Lincolnshire. Books can be viewed by appointment. Regular PBFA fairs attended. we are a family company with emphasis on good personal service and helpful advice. our stock is general, but with a modest weighting towards antiquarian and non-fiction, but we also have a reasonable range of modern first editions. Longfellows Books is a family owned and operated used, rare and antiquarian bookstore located in Portland, Oregon. 2011 is our 30th anniversary of being in business and we are proud to provide our customers with rare, significant and interesting books as often as possible. We have an open store in Portland where we specialize in modern first editions, 17th-19th century significant works and fine bindings, photography books, Pacific Northwest history, rare magazines and sheet music, photographs and the decorative arts. Please browse our stock here or through our site and we thank you very much for your interest in our store. Lux Mentis specializes in fine first editions and rarities, books that have been treasured and will continue to be treasured. Whatever your interests, Americana, fiction, film, children\'s books, art, travel, or the history of ideas, Lux Mentis provides a diverse selection. Lux Mentis offers a range of client services. We will appraise your current collection, or help you to build or extend your personal library. Every bit as importantly, we are experts at helping to find the perfect gift. We are actively seeking to acquire fine books and entire libraries, and will readily place items on consignment when you decide to sell. At Lux Mentis we offer careful research, an unusual inventory, individualized service, and an expert staff. If you don\'t find exactly what you are looking for on the web site, contact us and we will do our best to assist you with your individual needs. Lyons share books are books collected by a private collector, publisher, as well as a magazines author. This collection has now been passed on and is available to share. Over the past 50 years the books selected are now up for sale. Please enjoy the special collections as well as he did. My books for sale consist of a wide variety of both fiction and non-fiction books, usually of the more rare or sought after book. Antiquarian, 1st Editions, Angling, Noted Authors/Renowned Writers, Antique Fiction and many more. Modernfirsteditions buys and sells distinguished rare books and manuscripts in the finest condition, and with the most interesting literary associations. We serve collectors of all ages, means and taste, and supply books to institutional rare book collections including The British Library, The Bodleian Library and The Folger Shakespeare Library. Modernfirsteditions always wants to hear from people with interesting books and collections to sell. Niagara Fine Books takes pride in their craft and sells out of print, antiquarian, non-fiction and many other books, including current textbooks. Books shipped from both the U.S. and Canada depending on your location to ensure prompt and efficient shipping and no U.S. or Canadian duties or fees. All books listed are those that are actually in hand on our shelves. Quality books at reasonable prices. FIRST EDITION/FIRSTCOPYS, CLASSICS, HEAVY SOUGHT TITLES AND AUTHORS, VERY RARE, OLD MEDICAL, VERY RARE GERMAN AND FRENCH BOOKS, COMPLETE COLLECTIONS, COMPLETE MURDER MYSTERIE COLLECTIONS, OUT OF PRINT, VERY FEW PRINTS EVER MADE, EXTREEMLY RARE AND EXTREMELY VALUABLE BOOKS. Parnassian Books & Mysterious Prose, Inc.
Book store and Gallery with an eclectic mix of books. A specialist in Scottish Highlands, Illustrated and First edition books, but also Children's, Sporting,Cooking and Craft books. Also the gallery has a small range of modern and antique maps, paintings and prints. Pinon Tree Books. A bookseller of an eclectic assortment of antiquarian books. 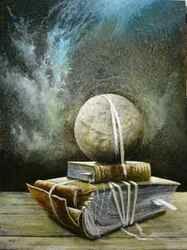 We specialize in new/used/rare books/appraisals. Former book appraisers for Discovery.com; Sothebys/eBay Master Dealers in rare books. Owner, bestselling author Ellen Traylor, is also a publisher with Port Hole Publishing. Let Us Publish Your Book! Online sales since 2008. We sell a wide range of books, covering almost any field with an special interest in Africana. We have been in business for over 25 years. Situated in Kalk Bay, Cape Town at the Southern tip of Africa, we deal in all types of collectable books. Over the years we have been featured in Time Magazine, The New York Times, Louis Vuitton Travel Guide, The Guardian and numerous others. We specialize in books of Irish interest but carry a wide general stock ranging from modern first editions to rare and antiquarian stock. We run a bookshop in Cong, County Mayo which is open six days a week in the summer months (closed Tuesdays). Please contact us for our winter opening hours..
We love the thrill of the hunt! Where ever we go, we're always looking for rare, unusual and old books. Although rare and antiquarian books are our favorites, you never know what you may find at our little bookstore. Our obsession with these paper treasures helps us to continuously add to our eclectic collection, so be sure to visit often. We are a postal business only, selling rare and antiquarian books on interesting subjects. SandyACo is growing. We are an eBay store with a 100% feedback rating. We love books and want the ability to serve more people. 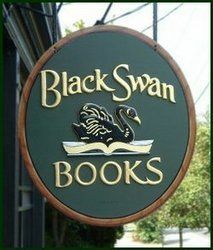 Our bricks-and-mortar store is located in Acton, Massachusetts, where we have about 50,000 books -- general fiction and nonfiction, mystery, poetry, science fiction, romance, and a large children's section. 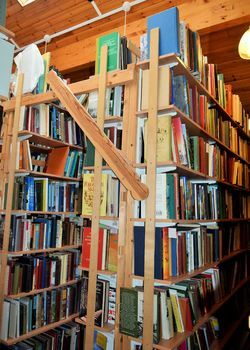 Sindbad Books is located within carnegie, operating for more than 20 years. Books on photography, art, literature, rare books, out-of-print books, modern fiction, Australiana, New Age and biography (to name a few). We`ve been trading for since 2001 with very positive feedback from our customers.We have a small but varied stock mainly concentrating on classic firsts ,in which we specialize.Everyone of customers will be treated as unique person and will be given a friendly and professional service. All books will be sent out well packaged to prevent damage. Digital photos available for all books on request. Book descriptions :if a fuller description can be given, it will be prior to any purchase. 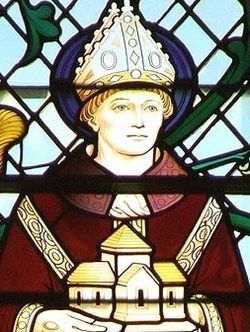 St. Wulfstan's specializes in antiquarian religious books, especially Bibles, Prayer Books, and other texts in the Catholic, Anglican, Episcopal or Presbyterian traditions. We are known for our extensive inventory of liturgical texts (such as the Book of Common Prayer) and related books.The inventory ranges from historically significant and very rare texts to affordable copies of prayer books from the U.S. and Great Britain. 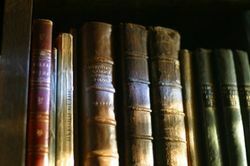 I specialise in books from the Four Shires - Warwickshire, Worcestershire, Oxfordshire and Gloucestershire, but also have a wide variety of other antiquarian and secondhand books for sale. Visitors to my office are welcome but please contact me first to make an appointment. Catalogues issued. Strawberry Hill Books is a UK based collectable and antiquarian book dealer with an inventory of 10K titles. Specialist areas include Fiction, Topography, History, Art and Exploration. We supply worldwide and all shipments are tracked. A family run bookshop located in the heart of rural Herefordshire. Large selection of children's literature, crime fiction, military, history, travel, vintage paperbacks, quality antiquarian volumes & fine bindings. We offer free UK postage on all items and pride ourselves on our safe packaging and rapid dispatch of orders. Browsers welcome by appointment. I am a one-person operation and am responsible for selecting books, writing descriptions and for shipping your book. Each book is carefully wrapped in plastic and cardboard for shipping.I add new listings to my online business almost every day. In addition to the books I have listed online, I also have a large local inventory and buy books ALL the time from a wide variety of sources. I really enjoy searching for and finding books - no matter how many I already have on hand.IF you would like to see photos of any of my books, please feel free to email me and I will be glad to email photos to you. Modern First Editions, signed where possible, adult and young adult, illustrated books, Antiquarian. And, apart from the book selling, I am a writer and painter. Look at my stuff online at peterkettle.com and buy my prize winning novel, The Driftwood Giraffe on kindle. Out of Print, used and rare books covering a multitude of subjects. The Rare Book Shelf are suppliers of fine, rare and desirable books specializing in out of print and modern First Editions. We cover most areas of fiction and non fiction including childrens books and are constantly updating and improving our current stock. We take time to fully study each book individually before grading them with as detailed a description as possible. All relevant history and information regarding each title is relayed to the customer where possible. 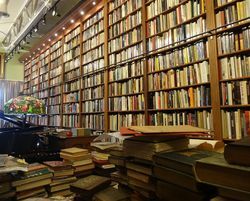 Thorn Books offers antiquarian, rare and out-of-print books. Frequently updated catalogues are available online in our specialty areas: King Arthur; Early Britain; Western Americana; California; Literature; and Rare Books. Our hours are Monday through Saturday, 8AM to 5PM Mountain Standard Time. Thorn Books is a member of the Antiquarian Booksellers of American (ABAA), the International League of Antiquarian Booksellers (ILAB), and the Independent League of Online Booksellers (IOBA). We are a brick & mortar store located between I95 and the Florida Turnpike. We focus on the visual aspects of books and the book as artifact. We have large Art and Graphic Art sections including haute couture magazines but also carry Architecture, Ancient & Classical History, Performing Arts and Books on Books & Antiques. 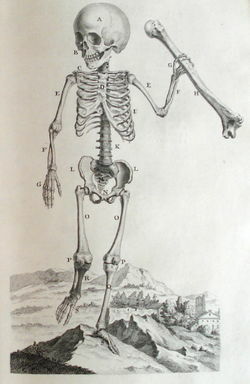 We have a large selection of Antiquarian Books, Antique maps & Antique prints. Hours by chance or appointment. We issue frequent, and substantial, catalogues in our fields of specialization.